"His rural constituency will help determine who controls Congress, and perhaps even the presidency, after 2012," Romano writes. "When Rep. Denny Rehberg, Montana’s best-known Republican, launched his own Senate bid in February, Tester’s chances for reelection plummeted. He’s only the tip of the rural iceberg. According to Charlie Cook, the Capitol Hill handicapper, nine Senate races now qualify as 'tossups.' Four will test the staying power of Democratic incumbents: Ben Nelson in Nebraska, Claire McCaskill in Missouri, Joe Manchin in West Virginia, and Tester. Three will take place in states where Democrats are retiring: Virginia, New Mexico, and North Dakota. And all seven of these contests will largely be decided by people more like Jon Tester than Chuck Schumer," the prominent, liberal senator from New York. "The math is simple," Romano argues. "If Democrats can’t connect with small-town voters, they will lose the Senate next November—and make it difficult for President Obama, who held his own among rural Americans in 2008, to recapture states like North Carolina that put him over the top last time around." In Montana, Tester has trouble from both sides, because liberal Democrats are unhappy with his relatively conservative voting record. It has become common for political commercials to attribute their assertions to newspapers, to enhance the ads' often questionable credibility. That was once limited to newspapers' editorial commentary and reporting of verified facts, but now the ad makers are using such attributions to lend credence to candidates' own assertions that the newsapers report, or just making it up. Newspapers should object to these tactics, and the Tonawanda News in New York did just that this week, with what Politico calls "a double-barreled rebuttal." The paper published an editorial and a news story, the latter done by its sister paper, the Niagra Gazette, "in order to provide a greater measure of objectivity in its reporting," the News said in an editor's note atop the story by Rick Pfeiffer of Greater Niagra Newspapers. The News objected to the U.S. Chamber of Commerce ad for Jane Corwin, a candidate in next week's special congressional election, that attributed the headline “Corwin: End harmful regulations” to the News. "It’s that sourcing the News objects to," Burgess Everett of Politico writes. “There was nothing ever written by the Tonawanda News that would have supported those claims,” News Managing Editor Eric DuVall told Pfeiffer, who reports that the story that appeared on the date mentioned in the commercial "featured none of the claims or quotes contained in the TV ad." He notes that the Chamber did likewise with other papers: "The snippets of text that are featured so prominently in the ad appear to be taken from the editorial or opinion pages of newspapers ranging from the Daily News to the Tonawanda News." Lindsay Hill, president of the National Association of Farm Broadcasting, was killed in a traffic accident yesterday. She was driving a pickup truck that collided with an SUV at the intersection of Ohio 41 and 235. "The driver of the other vehicle was treated for non-life threatening injuries," reports Tom Steever of Brownfield Network. Hill, 31, recently joined Farm Journal Media, which produces "Ag Day" and "U.S. Farm Report" for television. "Until late last year she was co-owner of ABN Radio and the Buckeye Ag Radio Network, based in Columbus," Steever writes. 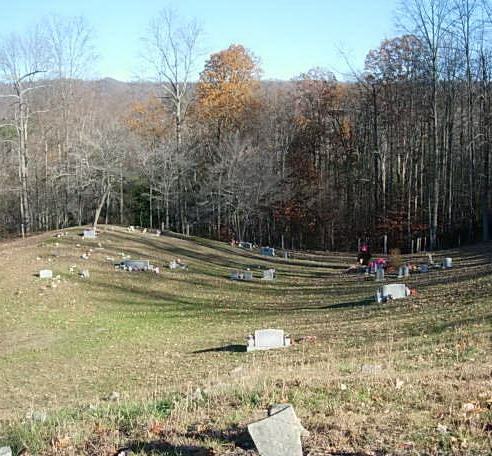 As what some of us call Decoration Day approaches, here's a new twist on local political patronage, from Anders Eld of the Harlan Daily Enterprise in southeastern Kentucky: "With Memorial Day 10 days away, the grass remains high in a lot of cemeteries around the county. (Photo of unnamed, mowed cemetery in the region by Barbara Turner) In recent years the cutting has been done by jail inmates through the work-release program, but something has changed this year." Myrtle Turner blew the whistle on Jailer Curt Stallard at a meeting of the Fiscal Court, the county's legislative body: “He made the remark to me that he would not send them to mow grass or pick up garbage. All because he lost the vote in our area,” the Big Laurel community on the north side of Pine Mountain. A member of the Fiscal Court said he had heard likewise. A letter from the Food and Drug Administration "indicates 74 percent of the 28.6 million pounds of antibiotics given to food-producing animals in 2009 were distributed through medicated feed," Agri-Pulse reports. "Another 16 percent were disseminated via water, and only 3 percent were sold for use via injection." Democratic Rep. Louise Slaughter of New York, right, went public with the letter last week, saying "These statistics tell the tale of an industry that is rampantly misusing antibiotics in an attempt to cover up filthy, unsanitary living conditions among animals. As they feed antibiotics to animals to keep them health, they are making our families sicker by spreading these deadly strains of bacteria." Slaughter, the only microbiologist in Congress (with a degree from the University of Kentucky), believes distributing drugs through feed causes inconsistent dosing which leads to the "development of antimicrobial-resistant microorganisms in cattle, hogs and chickens consumed by humans," Agri-Pulse reports. Slaughter has been pushing "legislation aimed at 'preserving the effectiveness of antibiotics for the treatment of human disease'" since 2007. For Slaughter's news release, click here. FDA confirmed that 80 percent of antibiotics are sold for agricultural use, adding "the majority of drugs used in animal feed are approved for both therapeutic and production purposes." The agency plans to release updated data that rates the importance of certain antibiotics in human medicine as a companion document to its current guide on antibiotic use in livestock, Agri-Pulse reports. The weekly Washington newsletter is a subscription-only service, but offers a free trial subscription. The gas drilling industry claims Duke University research linking drilling to methane contamination in water has no validity because it lacks baseline information for comparison, but such data does exist. "It just wasn't available to the Duke researchers, or to the public," reports Abrahm Lustgarten of ProPublica, whose reporting has helped focus attention on the issue. "The industry is sitting on hundreds of thousands of pre- and post-drilling data sets," said Robert Jackson, one of the Duke researchers, told Lustgarten. " I asked them for the data and they wouldn't share it." The industry has been collecting pre-drilling water samples from private wells since late 2008, when drilling in Dimock, Pa., was linked to water contamination for two reasons, Lustgarten reports: "To get to the bottom of water contamination problems" and "to protect itself when people complain that drilling harmed their drinking water." The state today fined Chesapeake more than $1 million "for contaminating private water supplies with methane in Bradford County. Officials called it the single largest state fine ever for an oil or gas operator in the state," The Associated Press reports. Faking safety checks and disabling monitors for explosive methane were common practices at the Massey Energy mine where an explosion killed 29 coal miners last April, and the company could have prevented the blast with basic safety procedures, the first official report on the disaster said today. To download a 5 MB PDF of the report, click here. 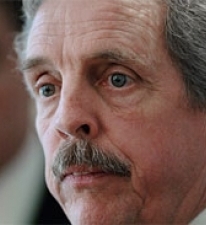 The report was written by an investigative team working for the state of West Virginia and headed by Davitt McAteer, right, former head of the Mine Safety and Health Administration. It blames the deaths on "a corporate culture in which wrongdoing became acceptable, where deviation became the norm," Howard Berkes of National Public Radio reports. In his Coal Tattoo blog, Ken Ward Jr. of The Charleston Gazette focuses on a Massey foreman "who it appears didn’t always perform the important mine safety checks required of him." Ward reports that McAteer told the families of the dead miners, "This company ran this mine in a profoundly reckless manner." (Read more) Ward also has a useful roundup of early coverage; here is his breaking-news report. The University of Kentucky's Appalachian Center has announced the winners of its “Re-Imaging Appalachia” photo contest, created to "give exposure to interesting photographs that challenge the negative stereotypical notions of what it means to be Appalachian," UK says in a press release. All the winners were from West Virginia, the only state considered entirely Appalachian. 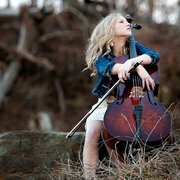 First place and a $500 prize went to professional photographer Michele N. Coleman of Parkersburg, W.Va., for her photo of a high-school senior posing on a hillside with her cello. "I think the image portrays several emotions," Coleman said. "One would be that she is rugged yet refined, simple yet elegant." Second place and $150 and went to Toril Lavender of Huntington, W.Va., for her photo of The Huntington Dance Theatre's presentation of "The Nutcracker Ballet." Lavender’s black-and-white photo, all the rights to which are reserved, initially tied with Coleman’s, requiring an additional vote by the judges. Third place and $100 went to Troy Lilly of Cross Lanes, W.Va., for his photo of waterfalls and a swirling pool in Blackwater Falls State Park. "The photos were judged based on the quality of composition, subject matter, technical skill, creativity, and theme appropriateness," the release says. "Each photo was ranked by these various qualities on a scale from 1 to 5, by each judge independently. An average of scores determined the rankings." To view the photos and the other 150 entries, click here. The Union of Concerned Scientists, which was formed to warn of the risks of a global nuclear holocaust, held a conference call with reporters yesterday to sound the alarm bell about global warming. Deborah Zabarenko of Reuters listened and wrote, "Heavy rains, deep snowfalls, monster floods and killing droughts are signs of a 'new normal' of extreme U.S. weather events fueled by climate change, scientists and government planners said on Wednesday." "It's a new normal and I really do think that global weirding is the best way to describe what we're seeing," said climate scientist Katharine Hayhoe of Texas Tech University. "We are used to certain conditions and there's a lot going on these days that is not what we're used to, that is outside our current frame of reference." "Hayhoe, other scientists, civic planners and a manager at the giant Swiss Re reinsurance firm all cited human-caused climate change as a factor pushing this shift toward more extreme weather," Zabarenko writes. The nation's most rural state appears ready to let teenagers work longer hours during school times, partly at the behest of service- and tourism-related industries. Last night the Maine House of Representatives voted 78-69, almost entrely on party lines, to let minors work 24 hours a week during the school term, up from 20, and to let them work until 10:15 p.m. on school nights, up from 10 p.m. Here's the latest sign that farm subsidies will be cut: a story from Dave Helling in the Kansas City Star, which begins, "Liberals and conservatives aiming to close trillion-dollar federal budget gaps may soon reach a rare consensus on a common target for spending cuts: the American farmer." Helling notes, "Farm advocates argue that while agriculture is ready to do its part to reduce the deficit, farm programs — cobbled together over many decades since the Great Depression — protect a system that delivers high-quality, safe food at a relatively low cost." Postmaster General Patrick Donahoe asked Congress yesterday to let the Postal Service do something Congress has refused for 30 years to let it do: end Saturday mail delivery. "Lawmakers may be ready to grant" the request because the service is expecting a deficit of more than $8 billion, Ledyard King of Gannett News Service reports, noting bipartisan support from some senators. But some who heard Donahoe at a committee hearing objected. 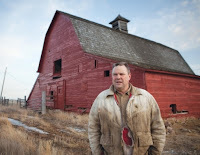 Democratic Sen. Jon Tester of Montana said, "Cutting one day of delivery is a nail in the coffin that only weakens rural and frontier communities, where reliable postal service is a lifeline," King reports. "Sen. Claire McCaskill, D-Mo., said any move to cut back on delivery days could spark "a death spiral" for the agency," Sean Reilly of Federal Times reports. "Their constituents would be disproportionately hurt, they say, because they rely heavily on Saturday delivery of medicine, farm equipment and other critical items," King writes. "Those lawmakers also say they are not particularly comforted by the Postal Service's pledge to keep local post offices open on Saturdays because so many residents in rural America live miles away from them." In testimony before the Postal Regulatory Commission last September, the undersigned said much the same, arguing that the mail is a larger part of the civic infrastructure in rural America, and the Government Accountability Office found likewise. 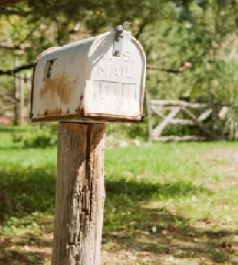 The commission recently told the Postal Service that it needed to study the rural impact before ending Saturday delivery. A new law in Texas will allow rural hospitals to hire doctors, "ending a longstanding ban," Alexandra Wilson Pecci reports for HealthLeaders Media. The law applies to hospitals in counties of 50,000 population or less, sole community hospitals and critical access hospitals, which get slightly lartger Medicare and Medicaid reimbursements in return for limiting beds, admissions and patient stays. Pecci writes, "Physician recruitment is already a problem in rural communities, so prohibiting employment of physicians was another roadblock for Texas hospitals, especially since nearby states allow physician employment, proponents of the law say." "Proponents of such a potentially vast undertaking say homeowners and businesses normally resistant to government buyout offers have suddenly become far more receptive, as they begin to assess the damages wrought to their properties," Paul Quinlan of Environment & Energy News reports, quoting Nicholas Pinter, professor of geology and environmental resources and policy at Southern Illinois University: "The main difference is we're going into communities that are still wet. We've heard a lot of enthusiasm for taking opportunities now to move out of the flood plain." A comparison of reading scores of third graders in rural, suburban and urban areas show rural students are behind. The Carsey Insitute, an applied and policy research organization at the University of New Hampshire, found the average reading score of third-grade rural students on a 212-point scale was 122, almost 8 points lower than the suburban average, Diette Courrege of Education Week reports on the Rural Education blog. "Urban students' scores were an average of six points lower than the suburban average." "Some people are literally taking scissors and cutting off the tail of a fish to make it fit into a certain category," Republican Sen. Glenn Hegar, the bill's sponsor, told Goode. "Unfortunately, they're not playing by the rules." This bill is intended to address this sort of cheating found in some high-level bass fishing tournaments. The bill will extend current "fishing laws to include saltwater and freshwater tournaments" and add "the provisions about misrepresentation," Goode writes. For tournaments under $10,000 a Class A misdemeanor charge would be issued for cheating and in tournaments over $10,000 cheating could land violators two to ten years in prison, a $10,000 fine and a third-degree felony record. Telecommunication deregulation: an economic boost or technology divide for Wisconsin? The Wisconsin Assembly recently approved a telecommunication deregulation bill that would limit the Public Service Commission's ability to investigate consumer complaints and oversee phone rates. The changes, which mimic business-driven changes in several neighboring states including Ohio, Indiana, Illinois and Michigan, "would mark the first updates to Wisconsin's telecommunications statutes in nearly 20 years," Todd Richmond of The Associated Press reports. However, many question whether the law will lead Wisconsin into the telecommunications revolution or create a larger divide between rural and urban communities. Supporters "insist the plan will eliminate outdated red tape, create more competition and encourage providers to invest in wider access to broadband," Richmond writes. The Wisconsin Technology Council and Wired Wisconsin claim deregulation could create or retain 50,000 jobs and add $2.6 billion to the economy, BizTimes Daily reports. An independent investigator for the state of West Virginia is expected to release a report as early as tomorrow detailing the causes of the April 2010 disaster that killed 29 coal miners at Massey Energy's Upper Big Branch Mine in West Virginia. The report is expected to hit the company hard and question the No. 2 coal-producing state's relationship with the industry, Manuel Quinones of Environment & Energy News reports. "We kind of hit hard on West Virginia as a state that is a big proponent of coal," said Celeste Monforton, an occupational health expert and former Mine Safety and Health Administration official who worked with former MSHA boss Davitt McAteer on the investigation. "We challenge the state to look introspectively at its relationship with industry." The report is "expected to include previously unreleased information from numerous witnesses," Quinones writes, and to have "hard hitting" chapters on Massey. The report, which will be made available online, is about 120 pages and details everything from the rescue and recovery efforts to local political support for the industry, Quinones reports. McAteer's report, unlike those by MSHA and the state Office of Miners Health, Safety and Training, takes a broader look at Massey's safety practices and also "state and federal oversight failures that could have played a role in the disaster," Ken Ward of the Charleston Gazette reports. 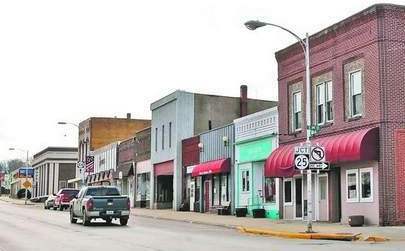 Here's a story that illustrates the increasing disconnect between small towns and the increasingly larger farms that surround them, by Adam Belz in the Des Moines Register: "Aside from some scattered bright spots, the biggest boom in farmland prices in 30 years has done little to reverse the gradual decline of small towns across Iowa. The same is true in agricultural communities across the country, according to scholars who track rural economies." Belz quotes Iowa State University sociology professor Cornelia Flora, who studies agriculture and rural poverty: "We have this decoupling of farms from their particular small rural communities. We don't have the multiplier effect that we assumed we would always have." He writes from Guthrie Center, above, a county seat of 1,569 souls, near which a square mile of farmland recently sold for $1.3 million, thanks to "near-record corn and soybean prices." In Guthrie County, "Young people generally leave for college and don't move back," Belz writes. 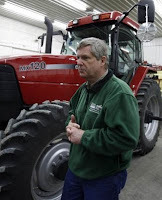 "As farm acreages get bigger and equipment gets better, the connection between farms and nearby towns weakens, Flora said. Farmers might buy their equipment from a dealership in another county, on the Internet, or directly from the manufacturer." And with a Des Moines nall 45 minues away, about half the storefronts on Main Street "are either vacant or don't keep regular hours." Federal Deposit Insurance Corp. data "statistics show that small-town banks that lend money primarily to farmers have strong balance sheets, but little demand for loans outside of agriculture. Community bankers have resorted to philanthropy when trying to jump-start growth on Main Street. They donate and raise money for fine arts centers, local grocery stores and bowling alleys that wouldn't start up in the free market." The term "national sacrifice area" is sometimes applied to a place that is or might be drastically changed by government-regulated human activity. 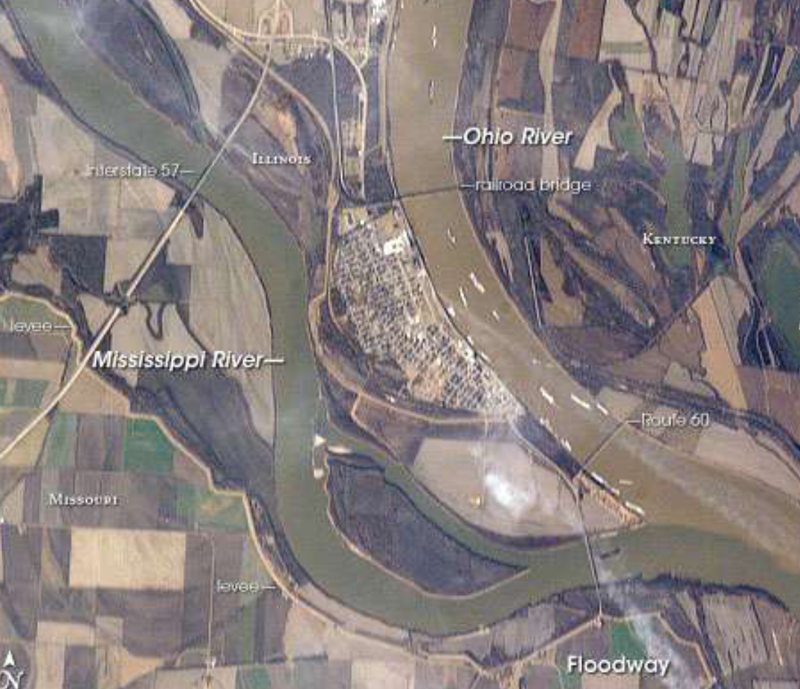 The accuracy of that appellation varies, but there can be no question that it applies to the Atchafalaya River basin in Louisiana, which the federal government is flooding today to eliminate the real risk of catastrophic flooding in Louisiana cities on the Mississippi River, such as Baton Rouge and Katrina-devastated New Orleans. For today's coverage from The Advocate of Baton Rouge, click here; from The Times-Picayune of New Orleans, here; and from The Advertiser of Lafayette, to the west of the flood zone, here.